Security systems have evolved at an amazing rate. What was considered to be an exquisite form of security or surveillance a few years ago is now commonly used in most homes and offices around the world. But along with the advancement in security technology, criminals too seem to have evolved. Today, it is easier than ever to break into an alarm system, forge a signature, hack a password, steal sensitive and confidential data and even forge an identity. But what about your biological features like your fingerprints, retina scan and voice patterns? Can they also be mimicked by a potential criminal? It’s almost foolproof. Barring voice patterns, none of the other features can be copied or hacked. Today Biometric Security has superseded all other existing forms of security and emerged as the most reliable one. It is the most commonly used security system to screen passengers in airports in the US. And Biometric technology is now being used across sectors where data confidentiality is crucial. Now, it is available in the form of Biometric Door Locks and can be installed in your office. A biometric door lock uses a multiple pattern based recognition system that analyzes fingerprint, eye, and facial features to grant access to a door. These are features which are distinct to a person and are impossible to clone. There are numerous advantages of switching over to a Biometric Security System for your office. Added Security: You can easily add a low cost and highly effective tier of security. Eliminate Fraud: Biometric Security Systems eliminate the scope for all types of fraud including ID card Fraud, Buddy Punching and stolen or lost ID cards. Increase ROI: It allows significant savings in areas like Loss Prevention and Time & Attendance as the efficiency of these parameters increases significantly. Keep Track: With Biometrics, each individual can be linked to an event or a transaction. 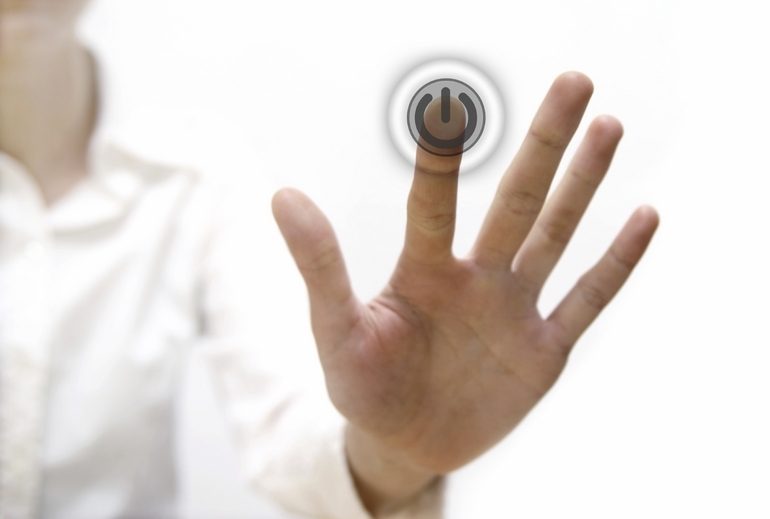 Biometric Security is the answer to a safe and secure corporate environment. Have you switched over yet? Considering the modern-day access control system known as the optical turnstiles workers can just walk through the device, while it scans their identification badges to find out if they are certified to get into the property. Thats a wonderful suggestion Katherine. Thanks for your feedback. CCTV cameras are cheap and to get the best security you canprefer to have dvr system too..
Technology is growing rapidly and fast! We can say the we can keep entire world in our pocket but still it's all about security. Making sure for security is the major problem before getting any new invention. Cause everything can be hacked or accessed without getting authority over that. All security cameras are really helpful to be secured definitely make us satisfied for our assets. Now days alert system in very important from any business point of view...and household too. and the great thing is that today's lot of alert system are with us and best of its biometric system. too strong authentication power it has.